When a newsletter appeared from Office, my usual thought was just to archive it but then I saw the subject line of “PPQ at OFFICE now launched!” Damn it. 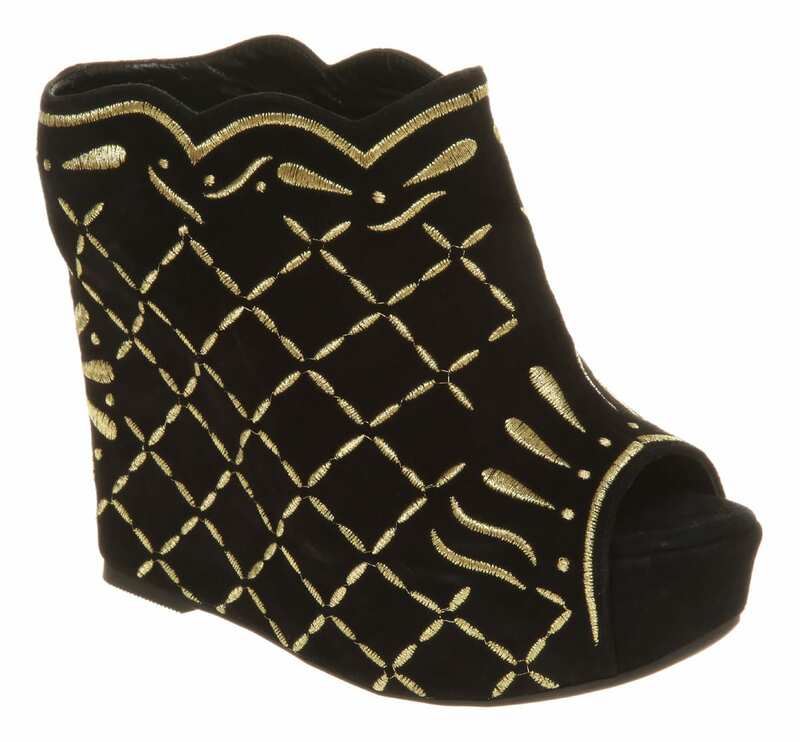 The Catwalk Wedge Black Suede* (Ã‚Â£110) isn’t my usual style, but I love it. LOVE. Well, mostly love. Look at that peep toe. Why? WHY? Boots are always spoilt with a peep toe. I’m sadly still on the shoe ban, but these shoes are (mostly) gorgeous enough to break the ban. The pricing is pretty similar to the normal sort of prices of Office (ouch – this is why I only ever go in when theres a sale on) which is always a good thing – designerÃ‚Â collaborationsÃ‚Â shouldn’t mean that the price is inflated to match their ego! LOVE the black heels. 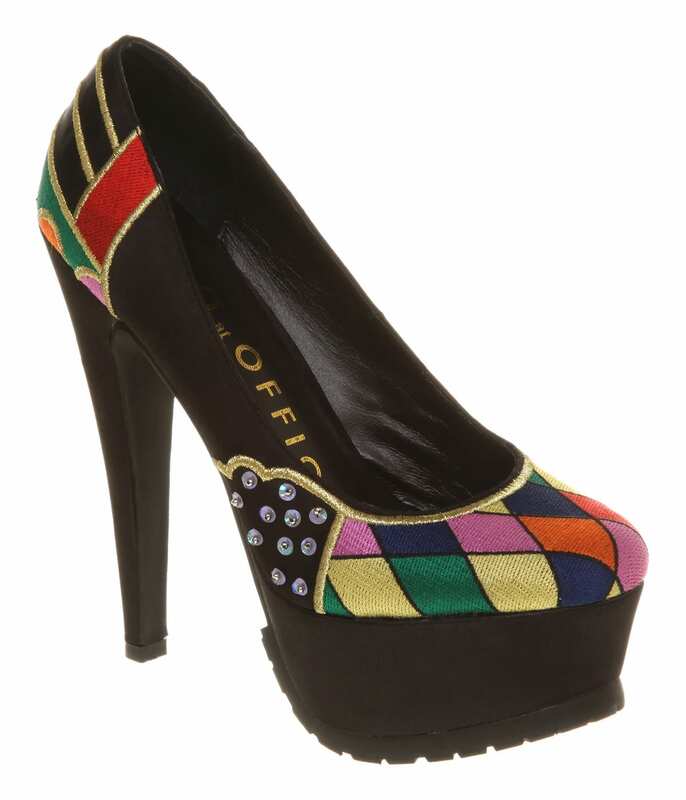 I like a peeptoe, I have to admit. Especially on a boot. Office shoes never seem to feet my weird feet though, I wonder if these will be any different? I need to fix my feet before wearing pretty shoes. TO THE FOOTBATH! COMPLETELY agree with you about boots having peep toes! All of these are pretty cool though. I so need/want the first pair. Wow, these are gorogeous. I love the first one especially, I agree, not my usual style but I love!